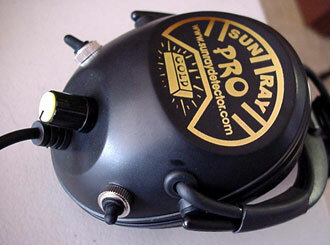 Dual multi position "segmented or detent" volume controls with NEW BLACK & YELLOW KNOBS for that "Sun Ray" look!. 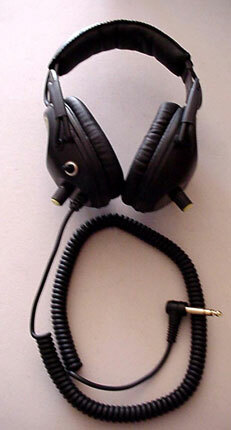 "New" comfortable, lightweight dual swivel point ear cups with all "new" soft leather muffs. The new foam padded soft leather muffs are not only more comfortable than the earlier vinyl muffs, they do not develop a "memory". They conform to the shape of your head around your ears when worn and when taken off return to their original shape! Vinyl which normally has a life expectancy of (3) three years can get harder with time and the elements, which can cause a less comfortable fit as well as a noticeable increase in ambient (outside) noise. 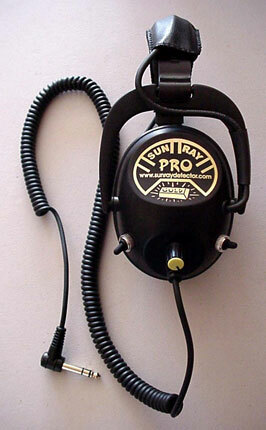 The former version of the Sun Ray Pros yield a 24 decibel reduction in ambient noise blocking ability when new. 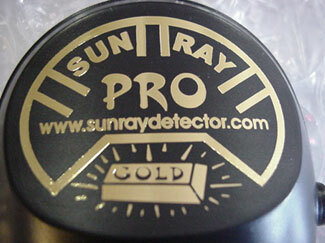 The new Sun Ray Pro "Gold" version yields a 26 decibel reduction in ambient noise blocking ability and continues to block that noise day in and day out, year in and year out because they stay soft and comfortable! New cable coil is 20" retracted vs 13" on previous cable. Overall length of new cable is 32". Extended length approx. 18" longer than previous cable! New "multidirectional" strain relief flex vs 2 directional on previous cable! New cable jacket inserts fully into 1/4" molded, right angle plug vs previous cable. 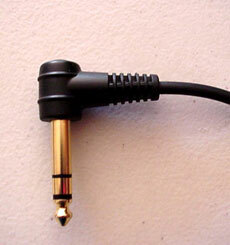 EXTERNAL STRAIN RELIEF and 1/4" right angle, molded GOLD PLATED PLUG! FOR ALL WARRANTY AND NON-WARRANTY REPAIR ON SUN RAY HEADPHONES PHONE 205-239-6680 AND JOHN SMITH WILL ASSIST YOU WITH REPAIR INFORMATION AND THE ADDRESS TO SEND THEM. 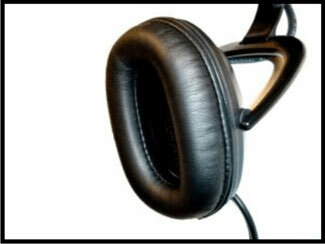 DO NOT SEND THEM TO OUR FORMER HAZLETON, IA OR PRESENT DELHI, IA ADDRESS AS WE DO NOT PERFORM HEADPHONE REPAIRS HERE. THANK YOU.